Your car’s brakes operate through a hydraulic system, which means that they are powered through varying fluid pressure. Depressing the brake pedal pushes a piston that forces fluid through pipes to a cylinder that is placed near each wheel. The fluid fills the cylinders, which causes pistons to push out and apply the brakes to the wheel. Today’s cars have anti lock brakes that include sensors and a control module to prevent a car from locking up and skidding in the event of heavy braking. Learn more about your car’s brakes by having it inspected at in Philadelphia, PA. Brakes are the most important safety feature on your car. While people sometimes procrastinate on repairs, a problem with your brakes means that you should stop driving your car and get it checked right away. A crucial part of keeping your brakes in good working order is using the right brake fluid and replacing it on time. There are several types of fluid, including silicone brake fluid and mineral brake fluid. Failing to replace brake fluid on time can cause it to absorb a high percentage of water and compromise your brakes’ function. To get an estimate of brake fluid cost for your car, speak with technicians at Meineke #367 in Philadelphia, PA. If you notice any of the signs of impending brake failure, do not continue to drive your car. Common signs include a lit ABS light, clicking or grinding noises while braking or a pulsation of the pedal when braking. You should also have your brakes inspected if you notice that your car is taking longer to come to a stop or pulls to one side when braking. Other red flags include increased drag when accelerating or lack of resistance when pressing on the brake pedal. 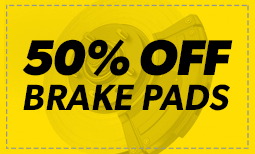 For ABS brake service and all types of brake repairs, visit Meineke #367 in Philadelphia, PA. Sometimes a mechanical issue with your car pops up without warning, catching you completely off guard. With brakes, however, you often get a signal that trouble might be brewing. Have it checked out promptly by taking your car to Meineke #367 in Philadelphia, PA. If you ignore the problem, you may soon face serious issues with your car and more expenses when the problems that develop must be fixed. Even more important are the safety risks when you wait too long to have faulty brakes repaired. The cost to repair or replace an anti-brake system, or ABS, can sometimes be concerning. The first thing to do is to bring your vehicle to the specialists at Meineke #367 in Philadelphia, PA. You may only need new brake fluid or just a minor part. It might be that new brake pads are needed. Of course, there could be issues with other brake system components. Our professionals can resolve the problem and see that you’re back on the road safely with a solution that is as cost-effective as possible. If you are thinking about replacing your anti lock system, a reputable service center can help you choose the best one for your car and help you ensure optimal function. Today’s manufacturers are continually improving sensitivity and reaction time in order to improve safety. As part of your brake’s mechanism, your ABS is affected by the type of brake fluid you use. High quality fluid is less prone to clogging your valves, so it is important to know where to buy brake fluid that is right for your system. 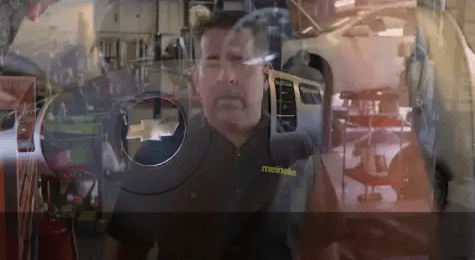 Ask the professionals at Meineke #367 in Philadelphia, PA about replacing and maintaining your ABS, as well as brake fluid cost.